Last Friday at Appirio we held our 1st Annual Future of the Cloud Day where we pull all 200+ employees out of the field for the day to give back to our communities across the country and globe. If you are interested in some of the projects and charities we contributed to, please check out our Silver Lining page. 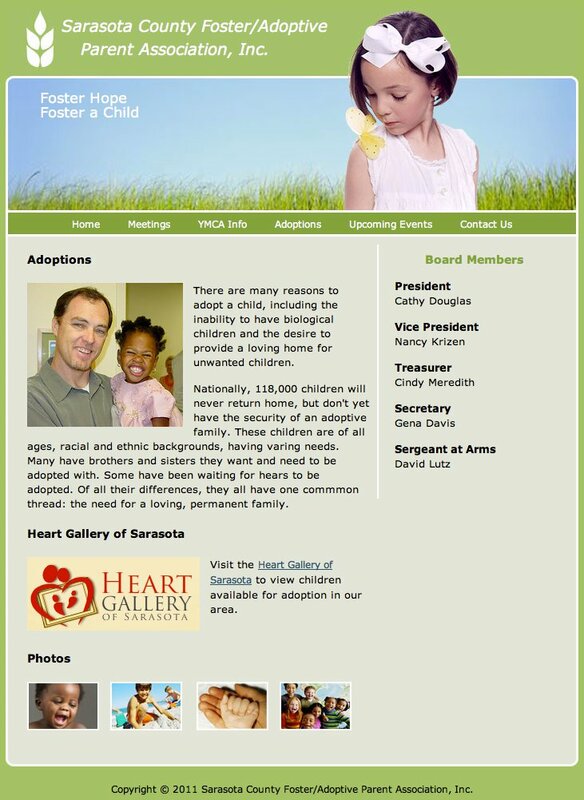 I spent the day building a new website for the Sarasota County Foster/Adoptive Parent Association. 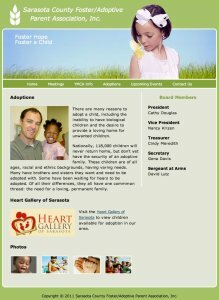 My wife is the President and she's been bugging me for awhile to put up a new website. Since I'm currently messing around with Ruby and Rails, I decided to do it in Rails and host it on Heroku (for free!). Heroku makes it super-stupid-simple to get a site up and running in no time. I'm still putting some finishing touches on it but you can take a peek at it here. The site was fairly easy to build with Rails and it uses a single controller to pull the upcoming events from the database. Nothing too fancy. My next step is to hook the site up to Twilio. While all of the foster parents have a phone, not everyone has internet and therefore has a hard time getting information. I'm working on a call-in info line so that my wife can enter her questions and answers into the site and Twilio will read the text to the caller automatically based upon their selections.